Zebronics Zeb-Peace Review – Worth a Shot? Well, year after year you see every flagship quitting the headphone jack. Even the midrange phones are joining the bandwagon now. So, the time has come for a truly wireless experience. Or should I say truly wireless earbuds? Ohh Yes! 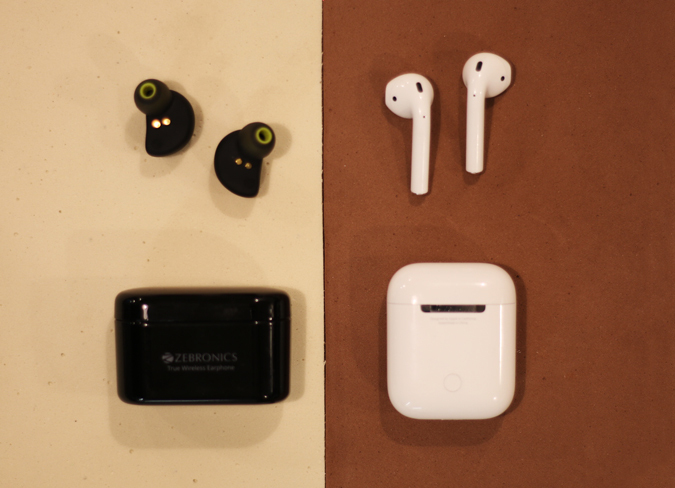 After the Apple AirPods launch, the tech has seen a flurry of truly wireless earbuds launching. I have tried a few in the past and, the experience is not something to boast about. 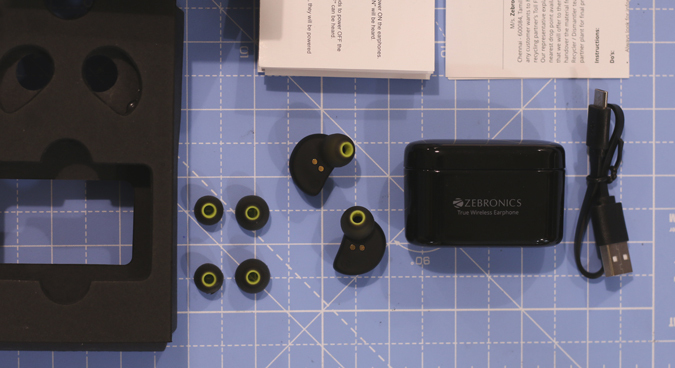 A week ago, I got my hands on the newly launched Zebronics Zeb-Peace earbuds. Priced at 3000 INR, it seemed a pretty cool deal. And now, that I have spent a couple of weeks with it, here’s my detailed review of the Zeb-Peace Earbuds. 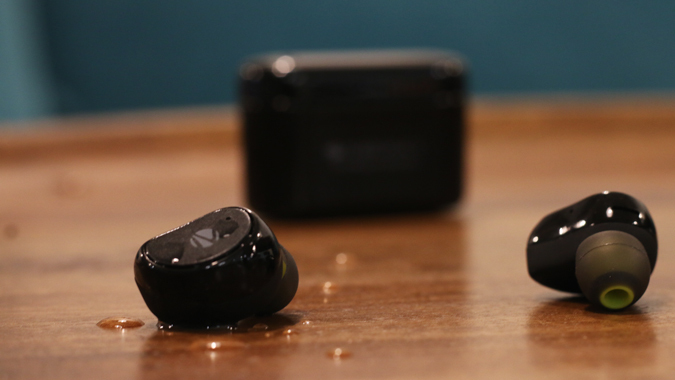 The wireless earbuds budget segment is sort of new. It would be unfair for me to expect it to ace all the criteria. 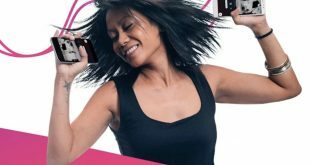 But having said that comfort, ease of connectivity, and battery life are non-negotiable terms. If an earphone is good on these grounds, it is worth a shot. So, let’s just quickly see what’s in the box. The packaging seemed good and as expected there is that uncanny branding and feature list right on your face. Minimalism is a thing brands should read about. Keeping that aside, below is what you get in the box. The moment I picked up the earbuds, I knew where they have cut corners. The earbuds are entirely built out of plastic with rubber coating at the bottom end. These are comparatively smaller than most of the earbuds out there. However, the smaller size has its own pros and cons. The good thing is that they snug fit in my ears and should do the same for most of you. The plasticky-build and smaller size cause them to weigh significantly less. So, having a run with them or hitting the gym should be an easy task. On top of that, these are also splash proof which is kind of a bonus. Now, plastic leads to a smaller form factor but compromises on longevity. Even the carrying case is built out of plastic with a metallic hinge and a glossy finish. This doesn’t sound good as mine has already started to gain scratches within a week of usage. But thankfully, the case is pretty small and easy to carry around in your pocket. 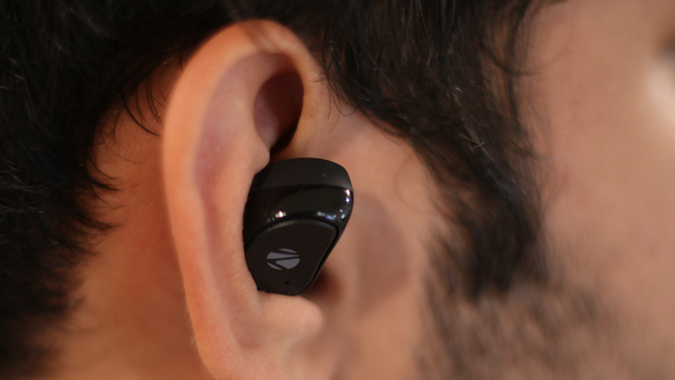 The buds come with a single Multi-functional button which resides on the back of the earbuds. But before, we begin talking about them. This is how they function. You single tap on them to power on each bud separately. Long press for 6 seconds to power them off. 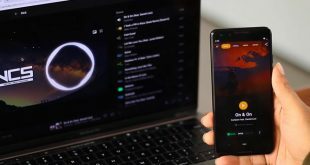 While listening to music a single tap works for play/pause and double tap works on. Similarly, you can take a call with a single tap and reject it with a long press for 6 seconds. Now, the functioning of the buttons are on point but the feedback is not good. At times, I don’t even realize that I have pressed the button. Later, the assisted voice kicks in so I have to wait for a few seconds to figure that out. Remember I said that smaller size has its own pros and cons. Yea, so the buds are pretty small owing to which they have a smaller 6mm driver. For that amount of size, it does get really loud. I mean the entire time I haven’t turned up the volume beyond 70%. If you are a loud listener, then trust me this is some loud stuff. However, the sound quality is underwhelming. This is a trend which I have noticed with a lot of truly wireless earbuds. Due to the small form factor, they pack in a smaller driver which is neither able to pump good quality sound nor base. The base here is just flat. What you get is good clarity but the vocals are quite average. I wouldn’t really recommend these to the audiophiles out there. Another problem which I have noticed quite a lot with the Zeb-peace earbuds is the sound staging issue. Now, the sound travels from my phone to the left earbuds and then to the right one. 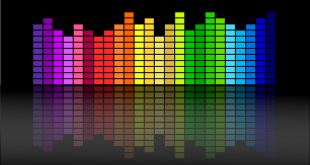 There have been several times when the stereo sound is disproportionately distributed. I have to pull out the left earbuds to make sure that the right ones are functioning. You won’t experience this frequently but when you do, it is annoying. The Zeb-Peace earbuds are capable of handling calls and you have an inbuilt mic on both the earbuds. However, the calling works only through the left one. You can hear the sound from the left earbud on the phone call and speak through either of them. The sound through the microphone is quite tiny. I could manage using them on calls indoors and in the office. But, outdoors they are unsatisfactory. Just try these only at home. Now, what are good earphones if they aren’t comfortable. You get me the world’s best sounding earphones but if I can’t wear them straight for half an hour it doesn’t make sense. So, comfort ranks higher on my list when I am reviewing any kind of headphones or earphones. Surprisingly, these aren’t that bad. They might not be as comfortable as the Apple AirPods but they are sure the worth. I could go along wearing them for about an hour before it gets a little uncomfortable. The fit is quite good so daily commuting with them wasn’t tedious. I have been using them regularly for my morning run, commute, and office work. Most of the time I don’t realize that I have the earbuds on unless someone speaks to me. Due to the snug fit, the passive noise cancellation is pretty good. It cuts out the surrounding sound really well during the music playback. Battery life for me was kind of a mixed bag. 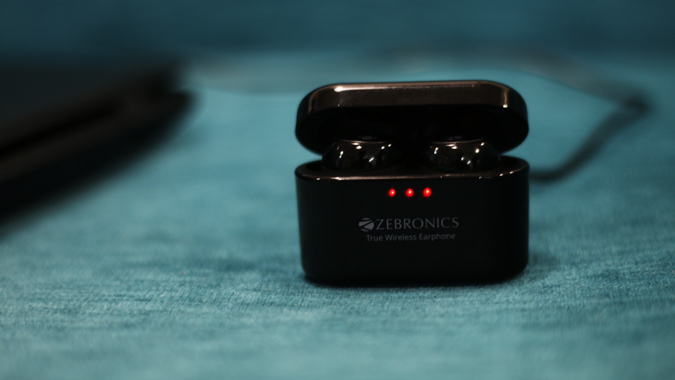 Zebronics claim them to have a music playback time of 2.5 hours on the earbuds. The charging case can charge the buds 2.5 times. This means including the case battery life you get a total playback time of 8 hours. This claim holds true in my testing and I was able to clock 2-2.5 hours of music on the buds. The earbuds take around 2 hours to charge from 0 to 100 via the charging case. The charging case has LED indicators which notify you about the case charging as well as earbud charging level. While the earbuds are charging the red LEDs glow up and once they are fully charged you will see blue LEDs light up. The case charging is denoted by a blinking red LED which becomes constant once the case is fully charged. The case can be charged with a regular micro USB charger and it takes around 3 hours to charge from 0 to 100. The LEDs on the case are a good addition as I can see the charging activity through a quick glance on the case. Now, here comes the letdown part. 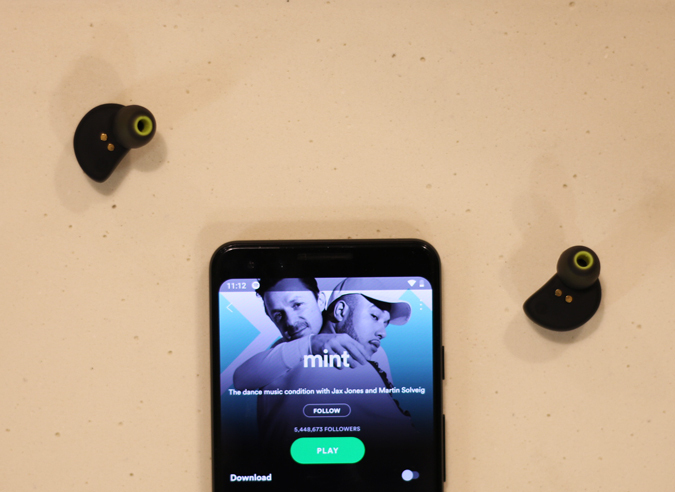 Since the left earbud is used to recept music from the phone and pass it on to the right one, it performs the majority of the action. So, the left earbud runs out of battery early. Ok, let me rephrase it, the left earbuds run out of battery exceedingly early. I could listen to my right earbuds for about an hour more after the left one ran out. And yes, you can connect to the individual earbuds separately in case one runs out of battery first, which is going to happen a lot. The Bluetooth name of the buds are “Zeb-peace R” and “Zeb-peace” L where L and R stand for left and right respectively. The Zebronics Zeb-Peace are priced at 2,799 INR on Amazon.in. Around that price, you have Noise Shots or Boult Audio. These have better battery life, better sound quality, and exceedingly better looks. If you are a casual music listener who listens to a lot of vocals or stream podcasts, then you can give the Zeb-peace a shot. If you are into metal and base heavy listening, do your audiophile ears a favor and just skip on these. That said, seeing so many earbuds pop up at this price range, the future timeframe looks really good. 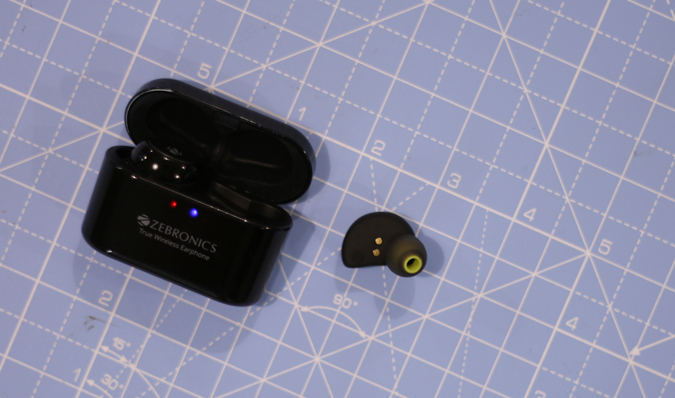 In case you have any queries regarding the Zebronics Zeb-Peace earbuds, let me know in the comments below. I usually hang out on Instagram so you can hit me up there as well. 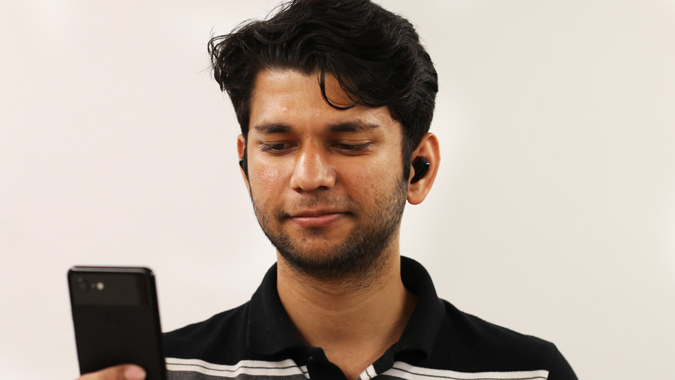 Pratik works as an In-House writer at TechWiser!